Dorothy Mae “Dottie” Schaefer, nee Bertelsman, 89, of Belleville, IL, born June 17, 1929 , in Belleville, IL, died Saturday, February 9, 2019, at Memorial Hospital, Belleville, IL. Mrs. Schaefer was a loving wife, mother, and grandmother. 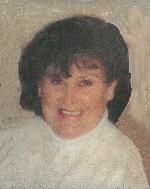 She loved caring for animals, was the best homemaker and housecleaner, and was always there to help family and friends. Dottie was a former member of St. James Catholic Church, Millstadt, IL, and St. James Ladies Sodality. In her early years she worked at the Belleville Shoe Factory and for Enterprise Printing in Millstadt, IL. She was preceded in death by her parents, Phillip and Elizabeth, nee Riedl, Bertelsman; six brothers, Joseph, Emil, Walter, Ben, Clarence, and Milton Bertelsman; and 11 sisters, Elenora Theis, Kathryn Bach, Mary Theis, Edna Kirchner, Agnes Hilpert, Florence Schwinn, Rose Hilpert, and four sisters who died in early childhood, Theresa, Dolores, Mildred, and Lucille. Memorials may be made to the Belleville Area Humane Society. Condolences may be expressed to the family online at www.rennerfh.com. Visitation: Friends may visit with the family from 10 to 11am. Thursday, February 14, 2019, at St. Teresa Catholic Church, Belleville, IL. Funeral: A Mass of Christian Burial will be held at 11am, Thursday, February 14, 2019, at St. Teresa Catholic Church, Belleville, IL, with Msgr. David Darin officiating.